Once upon a time Gary Craig founder of EFT, announced that there would be an exam for the top level of skill in EFT and award of the title EFT Master and he appointed Ann Adams to be director of the EFT Masters program. The first exam group was in San Francisco then Gary came to England in September 2005 for a Serious Diseases workshop in Bolton and 13 nervous candidates undertook the EFT Masters exam workshop the week before in Barton-upon-Humber. That was followed by the very rigorous written exam. We were given 16 essay questions and told “you have a year to complete”. Here we all are with Gary and Ann. The original European EFT Masters who were awarded the certificate and title by Gary Craig are all in this photo. Tam and Mair Llewellyn, Judy Byrne, Sue Beer, Emma Roberts, Gwyneth Moss, Ann Ross, Jacqui Crooks, Tania Prince, Karl Dawson, Paul Lynch, Inci Erkin and Maya de Vries. A few months after the never to be forgotten rite of passage that was the 2005 Barton EFT Masters practical exam the survivors met in Ilkley. Over dinner at the exam Gwyneth had the idea “I really like you folks. Lets get together without all of this stress” so once we had all calmed down she set out to induce the eleven UK candidates to come to Yorkshire for a weekend. And they did. The next idea came from Ann Ross who said “We’ve got so much to share, lets have a conference!” This was such a big and intimidating idea that we had to have several rounds of group tapping before Sue and Emma said: “We’ll do it! We’ll do it in London”. And they did. For the first ever EFT Masterclass in 2006 at Baden Powell House in South Kensington we were joined by Dr Inci Erkin from Turkey and Maya De Vries from Germany who had taken the exam with us. Carol Look and Ann Adams (who had set the exam) came over from the States. It was a fabulous first event if somewhat chaotic as none of us had done this before and didn’t understand about audio visual technology and registration systems. Even so, 330 people had a brilliant time and learned lots from us and we learned from them. Having just recovered from the trauma of the exam Sue and Emma retraumatised themselves by being the brave and foolhardy pioneers amongst us who learned the hard way how to run a sucessful and inspiring conference. Having seen Sue and Emma go through that stress the rest of us were reluctant to throw a hat into the ring to continue the event. Then Gwyneth woke up one morning with “It can’t not happen”and so the 2007 Masterclass at Craiglands under Ilkley Moor was born. The venue was a quiet and peaceful contrast to the traffic and crowds of central London. Carol Look joined us once again and Rue Hass gave her famous “stand up” therapy presentation with David Hignett and the f*** word which was followed by stunned silence and then gales of laughter. 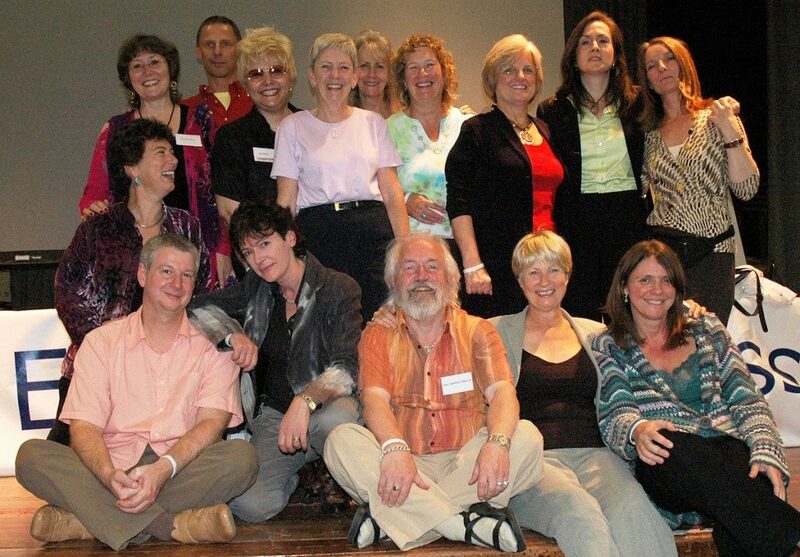 In 2007 in the US Ann Adams launched the EFT Master Showcases in Dallas, Denver, Boston and Sydney with a single stage format keeping everybody together. We Brits crossed the ponds to share our EFT skills with appreciative American and Australian audiences. Now the Masterclass was on a roll and even though Gary had cancelled the Masters program we continued and in 2008 Judy Byrne took us back to London and Park Crescent conference centre. Dr Pat Carrington and Carol Look joined us from the US and a fabulous time was had by all. Back up North for 2009 and Tania Prince took the reins for the Manchester Masterclass and invited the delightful and spiritual Tapas Fleming originator of TAT and Steve Wheater for an evening of transcendent music, plus John Bullough, Linda Wood and many guest presenters. 2010 London and Sue, Emma and Judy found a superb venue at Mary Ward House and a superstar line up with fascinating Rupert Sheldrake and the utterly desirable and very, very kind David Hamilton joining us as guest presenters. Which brings us to 2011 the sixth and last Masterclass, we chose the ancient and beautiful city of York and a really grown up conference venue in the Royal York Hotel. Our format was one of simplicity and focus. We used the format of the highly successful Master Showcases run in the US by Ann Adams. This means we all stayed together, without the agony of choice of breakouts, and had eight innovative and inspiring presentations from our home grown international presenters.